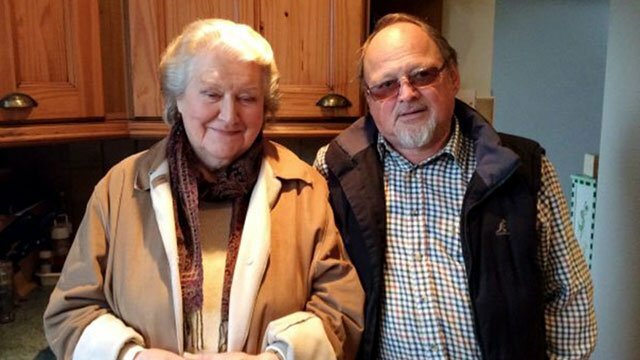 It’s not every 87-year-old actress who gets the opportunity to take on a new genre of work. 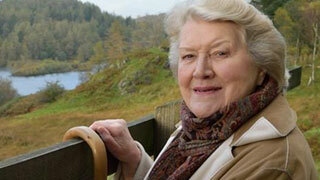 But when the octogenarian in question is Patricia Routledge, it comes as no surprise. 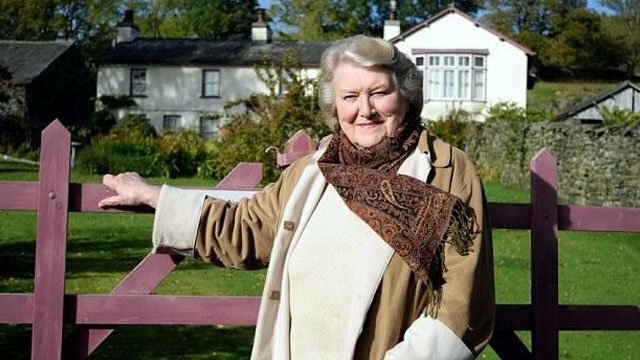 A couple of weeks ago, Routledge appeared in her very first television documentary, Beatrix Potter with Patricia Routledge. Not only was Routledge the presenter of the show, she also wrote it, which is probably why she was able to handle the documentary’s narrative without the help of a teleprompter! 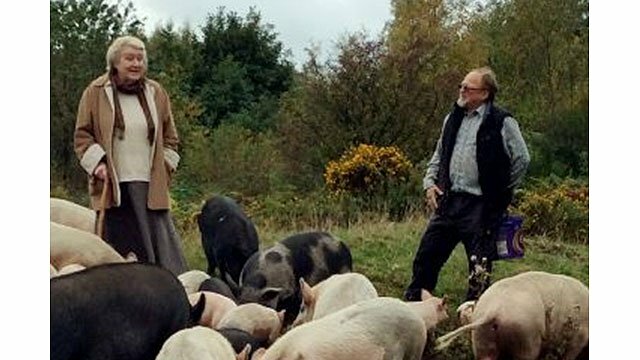 Filmed over a six week period in the Lake District back in the fall, the documentary celebrates the 150th Anniversary of the birth of Potter and centers on the author’s life and legacies. 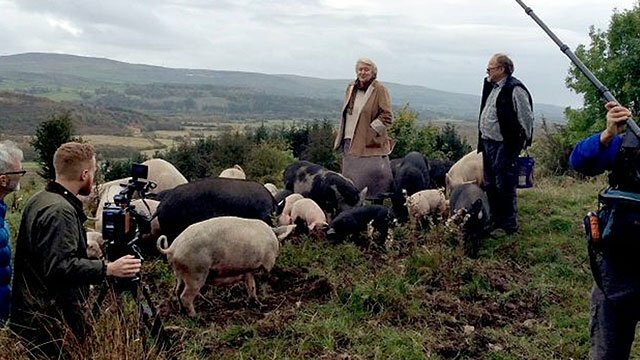 During the course of filming, Routledge spent half a day at a farm in Woodland, Broughton. 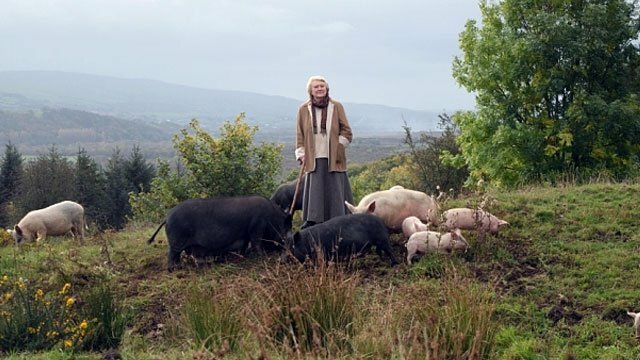 There she donned her wellies and stood in a field of pigs, to whom she recited a Potter poem about pigs. According to the farm’s owner, Gary McClure, Routledge also enjoyed time with the crew in the farm’s kitchen. 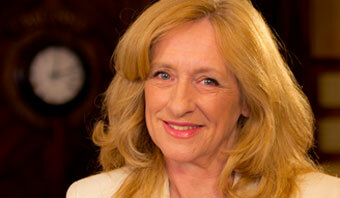 Apparently, Routledge’s only problem with the filming of the documentary was the weather – it was too good! She was reportedly thrilled when it finally rained and she could be filmed “standing out in a proper Lake District downpour.”! 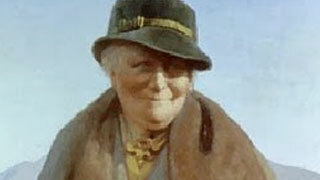 Routledge’s documentary on the beloved children’s author also included the announcement of the re-discovery of an unpublished Beatrix Potter story. 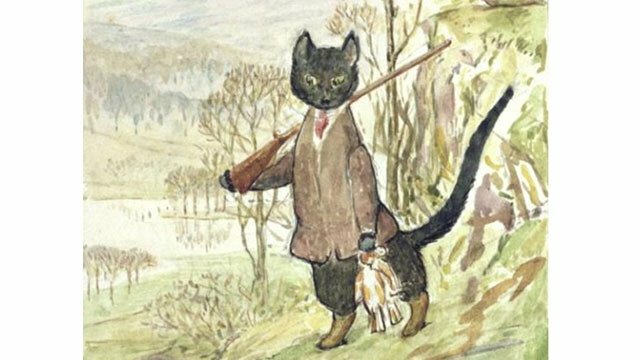 The Tale of Kitty-in-Boots, was found by publisher Jo Hanks in the Victoria and Albert Museum Beatrix Potter archive materials. It had been written by Potter over 100 years ago, submitted to her publishers but then, according to Potter’s letters which are also kept in the archive, abandoned owing to “interruptions”, which Hanks can only assume to be reference to Potter’s marriage, her father’s death and the First World War. The Tale of Kitty-in-Boots will be published by Penguin September 1st. You can hear more about the discovery of the story and watch and listen to Routledge read the first few paragraphs on BBC Radio 4 Radio, which you can access at this link; http://www.bbc.co.uk/programmes/p03gmcqx. Routledge can, of course, also be seen as Hyacinth Bucket in Keeping Up Appearances, every weekday afternoon at 2:30pm on Afternoon Tea.